Even as an Expat, you still need to file a tax return and, depending on your income, pay taxes, as long as you have a U.S. citizenship. Your worldwide income is taxable even if you filed a tax return and paid taxes in the country where you reside. If your taxable income is over $20,000 a year and you are married; or $10,000 and single; or made over $400 per year as self-employed or contractor, you need to file a US tax return every year. Your tax return is automatically extended until 6/15 but any tax due must be paid by 4/15 to avoid penalties and interest. If an extension is filed you get until 10/15. 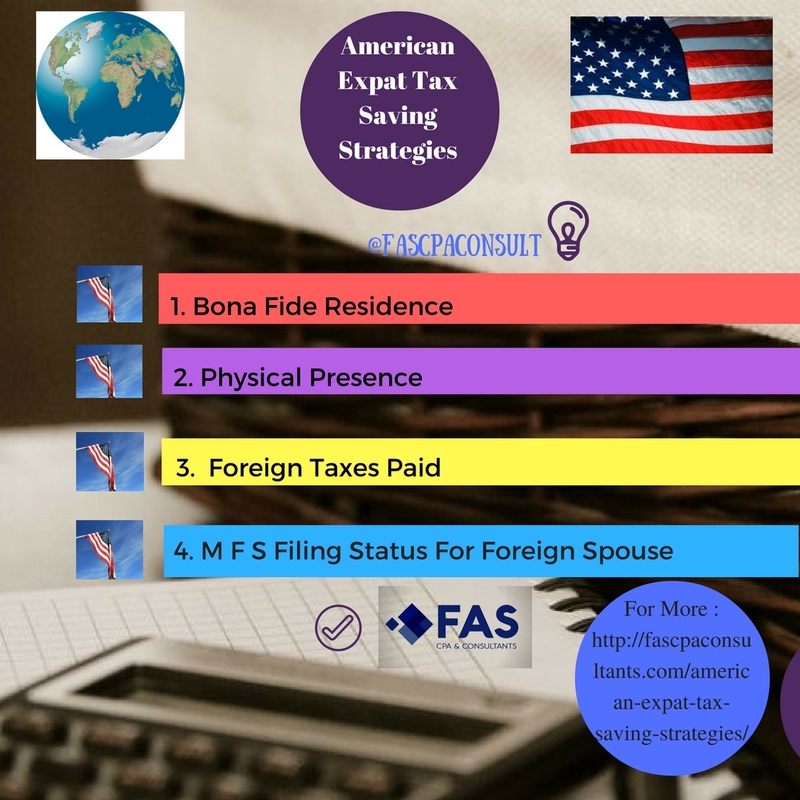 If your spouse is also an Expat, working and living abroad and qualifies under one of the two tests mentioned above, he or she can also benefit from an additional $104,100 FEIE. When foreign earnings from wages or self-employment exceed the foreign earned income exclusion, you can claim a housing expense for the rent, utilities and maintenance you pay if those amounts are over a minimum of $15,616 per year up to a maximum amount that varies by your country of residence. If you file a tax return you can claim credits against your US income tax obligation for income taxes paid in your country of residence. FATCA law, effective since 2011, requires US Citizens to report all of their worldwide financial holdings with their tax return if the value exceeds $50,000. Failure to file those will result in a penalty charge of $10,000. For Expats the minimum amount increases to $200,000 if single and doubled if MFJ. This form is in addition to the FBAR form requirement, for more information call our office and book your appointment. If the addition of your foreign banking holdings at any time during the previous year equals or exceeds $10,000 you must file FBAR form with the Treasury by 04/15 or incur a penalty of $10,000 and face criminal prosecution. This form is filed online separately from your tax return. If you own 10% or more of a foreign corporation or LLC you are required to file an IRS form 5471 due with your tax return. If you omit this added reporting obligation penalties include criminal prosecution. In addition, you should also file form BE-10 with the Bureau of Economic Analysis due on June 30 without extensions. Foreign trust creation or beneficiary will obligate you to file forms 3520 and /or 3520A or face severe penalties. Foreign foundations and nonprofits may fall under this classification if you are a beneficiary. Earnings from self-employment is subject to FICA tax of 15.3% and cannot be reduced or eliminated by the foreign earned income exclusion. You can be an exception if the country that you reside in signed a social security agreement with the US and you pay social security taxes there. The IRS hired employees to investigate and audit Expats who failed to file all necessary tax forms. The IRS also receives the lists of Americans applying for US passports or re-entering the country and will compare these lists with those filing tax returns to take action against those not complying. FEIE will help those Expats who file past years unfiled tax returns to end up owing very little or no taxes. IRS special programs will help you catch up if you have not filed previous years and will reduce or eliminate penalties for not filing. We can direct you to the best program for your situation and represent you before the IRS. If you have participation in a foreign corporation or foreign mutual fund you are required to file IRS forms for Passive Foreign Investment Company (PFIC) or face penalties for failing to report. PFIC is a foreign corporation with more than 75% of its gross income from passive income or 50% or more of its assets producing passive income. 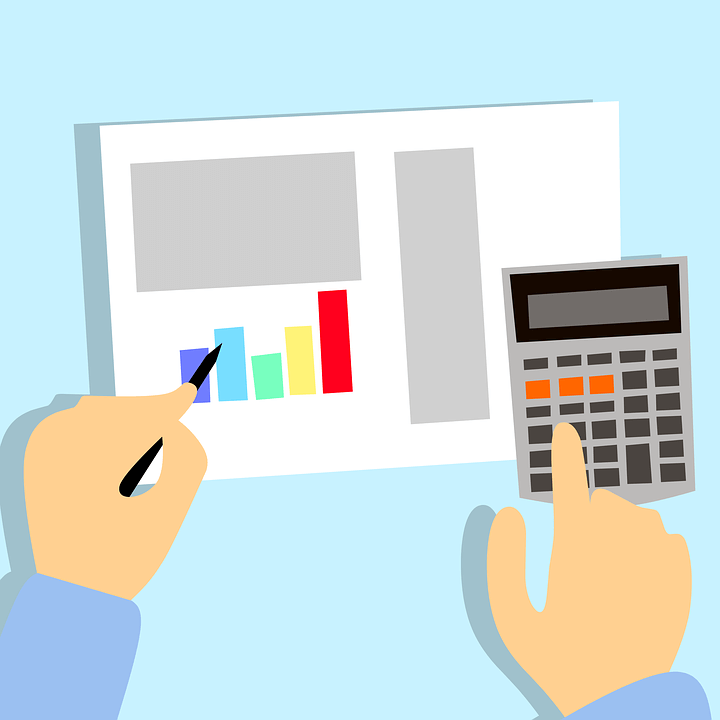 The net income from a foreign subsidiary company CFC that you as a U.S. citizen or resident own, will be added to your regular income on your tax return to determine the additional tax liability. You will be able to deduct taxes paid in the country where the CFC is located. Foreign companies created for holding personal real estate will be subject to the calculations and reporting but will pay no tax. Foreign trust or are exempt of this tax calculation, reporting and payment because they have their own set of regulations and reporting to the IRS. Click here for more details. Being an U.S. Expat can be difficult in terms of tax returns and bureaucracy, but this is why we are here. There are no industry secrets for us and we are always ready to enlighten you about the IRS requirements and procedures you are obliged to follow. Do you need to speak with a tax professional regarding this year’s tax return? FAS CPA & Consultants are ready to assist you with all of your offshore tax matters. You can call us or email at support@fascpaconsultants.com and request a free consultation that will answer your most pressing tax questions.